SEO is one of the area where I have focused a lot these days and in this process, I have used many SEO tools. Best part is, most of these software’s are free to try and if you like it you can buy it. Today, I will share SEMRush coupon code which will help you to grab SEMRUSH free trial Agency account for 14 days which is worth $$159.95. Which is one of the best SEM tool in the market. The Pandora of information you can extract using this tool is endless and enough to take control of your niche. Though, best of the thing comes with a price tag and same is with SEMRUSH. But, it’s always a good idea to try a service before you start paying it and that’s where this SEMRUSH promo code will help you to try their agency account with no restriction for 14 days. 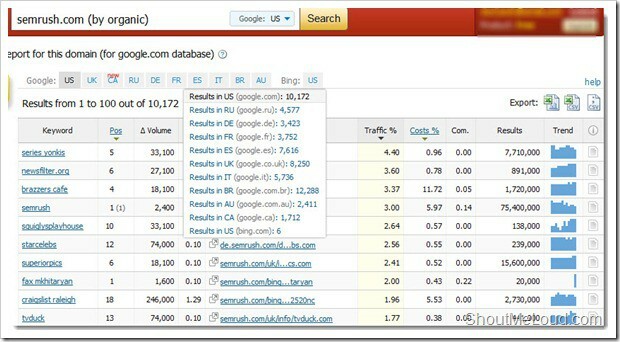 The best Keywords and find the keywords used by your competitor. Even from beginner blogger perspective, it’s always a wise idea to target keyword with highest CPC and low competition. This will help in driving traffic and increase AdSense income. SEMRush tool gives a great insight about almost all the domains and show which keyword is driving maximum traffic and every other detail related to that Keyword. As you can see the report columns and you can see how easy it’s making keyword research for us and not only that, it helps in finding the most profitable Keyword. You can also see the traffic trend directly here, and decide if that Keyword is going to fit into your long-term strategy or not. Not only that, you can also find the top traffic driven post on any domain and find all the Keywords that is driving traffic to that post. This discount coupon will give you complete free access of SEMRush for 2 weeks. This is risk-free trial and in case if you don’t like this tool, you can cancel your subscription anytime. Which I believe, no serious internet marketer would like to do. If you are already have a free account with them, you can still upgrade and try 14 days completely free Agency account of SEMRUSH. All you need to do is, login to free account and follow this link and add your payment info and your account will be upgraded. Like I said, you can cancel your account anytime by going to My account > Profile. Though, as a user, I doubt you might like to cancel this awesome SEO tool after trying it for 14 days. As, I mentioned above, this SEMRUSH coupon is specially for The Next SEO readers. You are feel free to share it with your readers and let them enjoy free pro account of SEMRUSH worth $150 for free. If you have any query regarding this essential tool for marketer, do let me know via comment. Next articleHow To Choose VPS Hosting? How to Check Internet speed ?